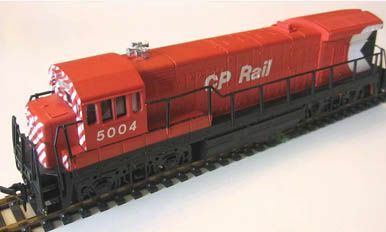 Made for the Canadian market, the CP Rail U36B does not appear in Bachmann's annual product catalogs. 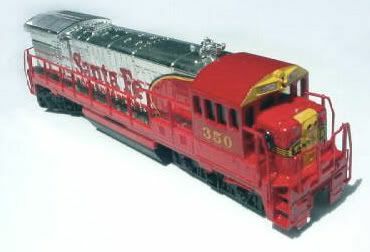 The CP Rail example was offered in the U.S. as an exclusive offering from a mail order hobby shop, SMC located in California. 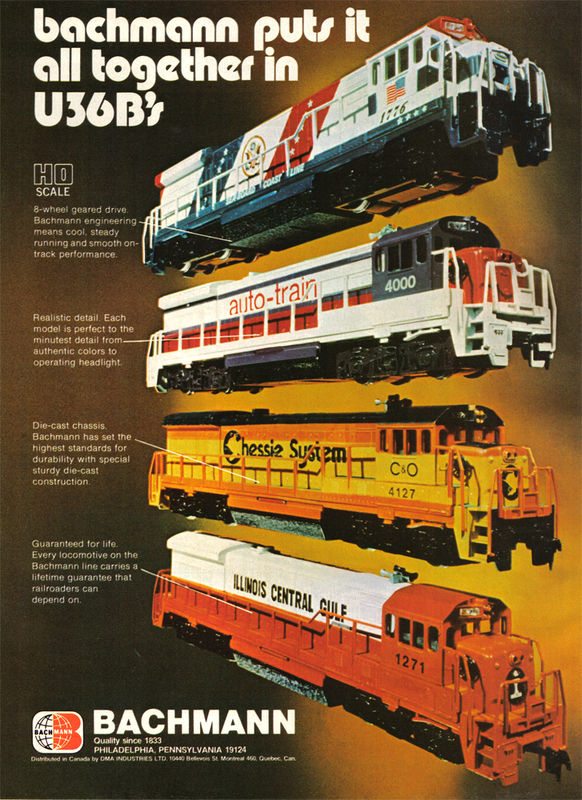 SMC lists the CP Rail U36B and a few other Canadian Bachmann offerings as exclusive items in a mid-'76 advertisement. 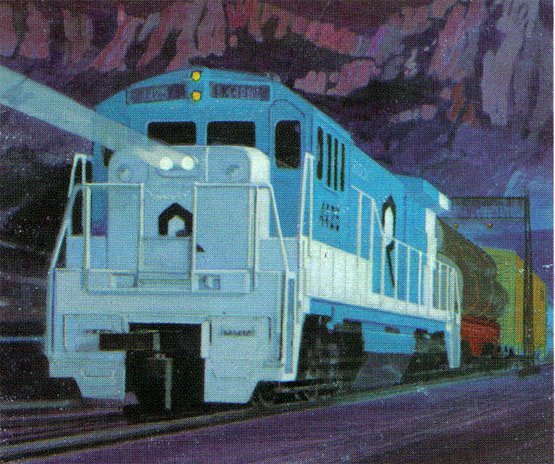 The Southern Pacific U36B is listed as NEW in Bachmann's 1979 catalog. The SP U-boat had an $18.00 retail price for its debut year. 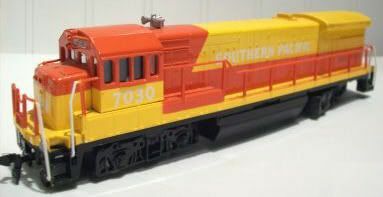 Bachmann's paint scheme appears to be inspired by the Southern Pacific's experimetal Daylight paint applied to the four U25B rebuilds that outshopped in the late '70s by Morrison-Knudsen with Swiss Sulzer engines and called then TE70-4S's. 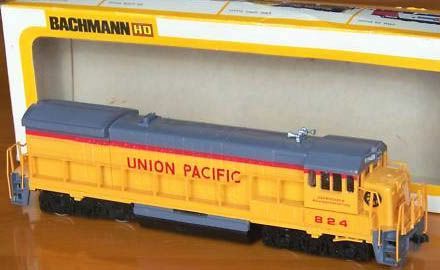 In addition to this Southern Pacific U36B, Bachmann applied a similar SP Daylight paint scheme to its GP40 and F9 models. 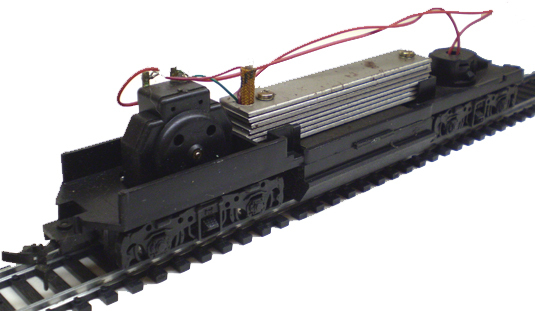 Above is Bachmann's original 8-wheel drive found in early U36B examples. Below is the mid-1970s introduced single-truck powered drive. 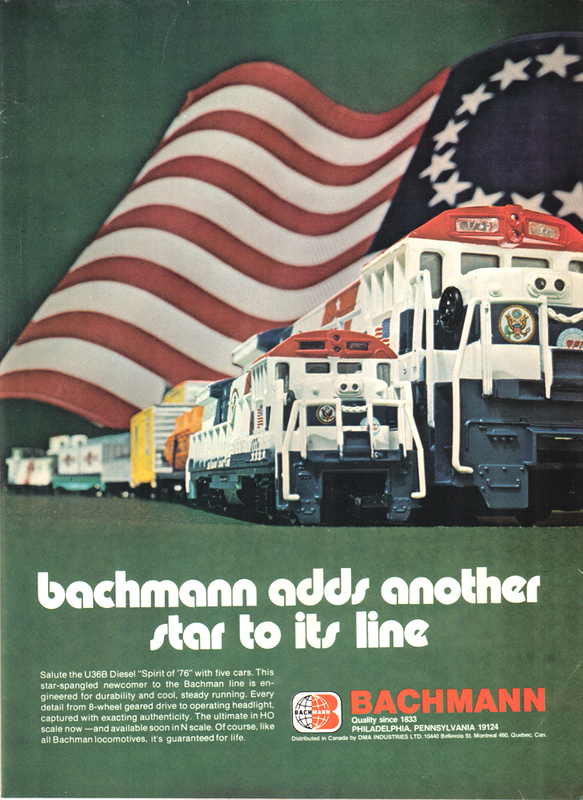 Above are 1974 Bachmann ads promoting the U36B diesels. You may click on either image to view a larger version of the ad. 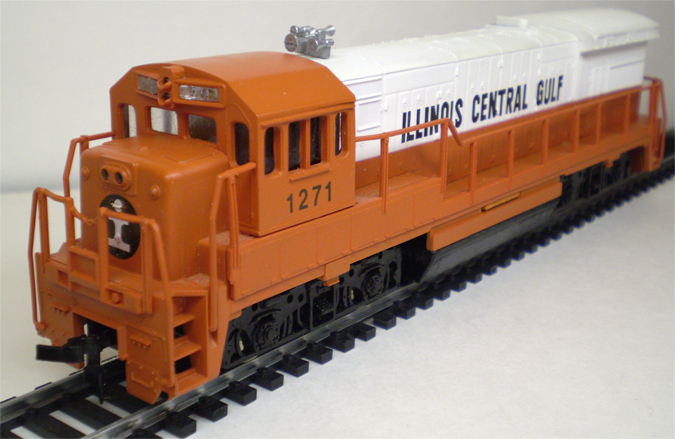 Originally buyers for General Electric's U36B were few, for this diesel produced from 1970 through 1974. 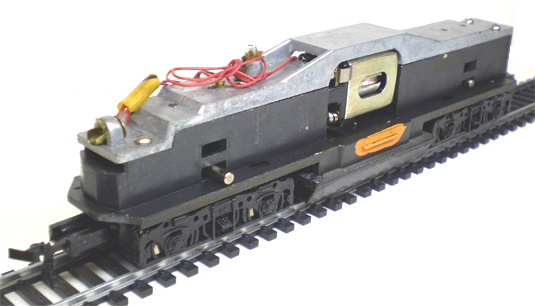 Seaboard Coast Line bought the majority of the 125 examples produced by GE with a fleet of 108 on the SCL. Auto-Train had an unlucky 13 and would have owned 17 had bankruptcy not came up before delivery of four new fully painted U36B diesels that never worked for the carrier. 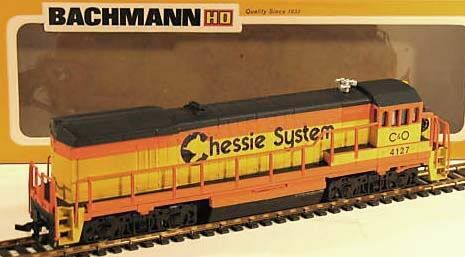 Auto-Train's orphaned four U36Bs ended up going to Conrail after 1976.
nor representing Bachmann in any way. This site is intended for your enjoyment and information only.